I always hated going to bars where I had to check my coat. Why the hell would I remove my jacket when I was struggling artist/student with minimal funds. Besides that coat check was worth half a pint of beer and I was just teeming with ideas to share with my fellow classmates. The alcohol was a great way to release those thoughts and flood the room with my all-important vision for the art world and ideation of global citizenship. I had something of an inflated ego and should’ve just played along with the group dynamic instead. Kongos are a band of brothers, quite literally – Comprised of South-African-Americans Johnny (accordion, keyboards, vocals), Jesse (drums, percussion, vocals), Daniel (guitar, vocals), and Dylan Kongos (bass guitar, lap slide guitar, vocals). Yeah, it’s not just a cool band name, it’s their legitimate surname too. The brothers grew up in both London and South Africa, but have lived and worked on their art in their established hometown of Arizona since the mid 1990s. The album starts off quite strong with Take It From Me, already a verifiable single with accompanying music video and that sweet sweet alt rock, hard rock, kwaito combo. You know, the sound that made Kongos a household name throughout Canada a couple of years ago, and which let them taste the Billboard charts of the United States too? Now if you’ve heard their most popular song Come With Me Now, which came from the preceding album Lunatic, and I seriously doubt you haven’t, you’ll know that there was a very strong kwaito sound back then, that featured accordion and steel guitar, and made that track really cool and adaptive. Fast forward to today, and first impressions from me were that I really dug the album almost immediately, and a lot of it had to with the lyrics, and harmonies between the brothers shared frontman duties. Autocorrect and Birds Do It stand out quite excellently in the lyrics department. And Autocorrect reminds me of a July Talk song, which ain’t a bad thing at all. In the grand scheme of life, it seems to be the case that Kongos are maturing into their strengths and broadening their interests so that they can deliver a more distinguished product. 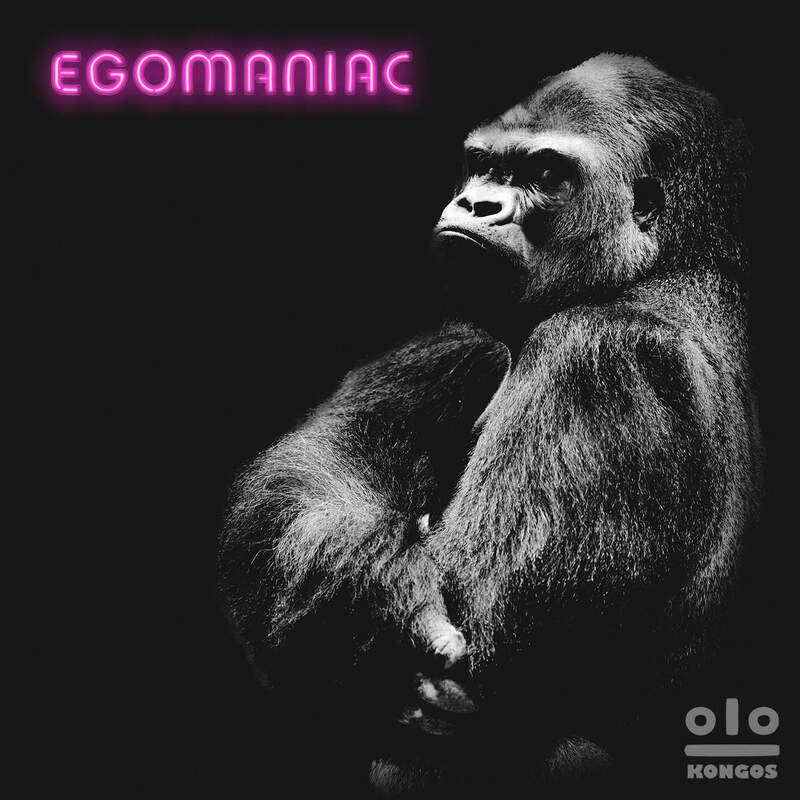 After all, Egomaniac is a concept album about the challenges of egomania. Again they accomplish this and more, drifting between synthesizers, ballads, accordion, bass, and some really sweet hooks. But that might be a byproduct of what happens when you tour with arena rock heroes like AWOLNATION, Imagine Dragons, and Kings of Leon. It’s odd because I keep struggling with the words to explain how I feel about this album, but I truly do think it’s really cool – that they are capable of producing slower paced songs too, with proper attention given to each track, no matter what the song’s intent and focus, is a demonstration of their staying power. 2 In The Morning opens with what sounds like an edgier version of Brandon Flowers, and while I’m not sure if it’s Danny Kongos voice we hear, it’s quite good and attributed to him. Hey You, Yeah You also has that The Killers vibe to it. It’s a rare treat when you find a band so self-aware of their strengths and particular voice, and I know I’ve written these words before, but this album is best served as a whole rather than as a sum of its songs. And that is why Egomaniac won’t receive rave reviews from every critic and his mother – There are no stellar solos or catchy choruses here. But if you’re a fan of the band of brothers, you’ll shred your ego and hope in the trenches with ’em. If only I had a checked my ego at the door, and had three other brothers with identical talents, I could be part of the Kueflers, an all-Canadian band of visual artists. Wait, I’m doing it again, getting lost in the ego. Gotta stay ground and enjoy the moment. But that could just be a theory.